The first week of summer is always kind of an adjustment, amiright? I feel like summertime is kind of like childbirth- you always look back on it fondly and don’t always remember how hard the bad parts were, haha! We thrive on schedules around here and are definitely loving the lax bedtimes and laid back mornings, but we’re still finding our groove. But we’ll figure it out, just in time for school to start back, I’m sure, ha! 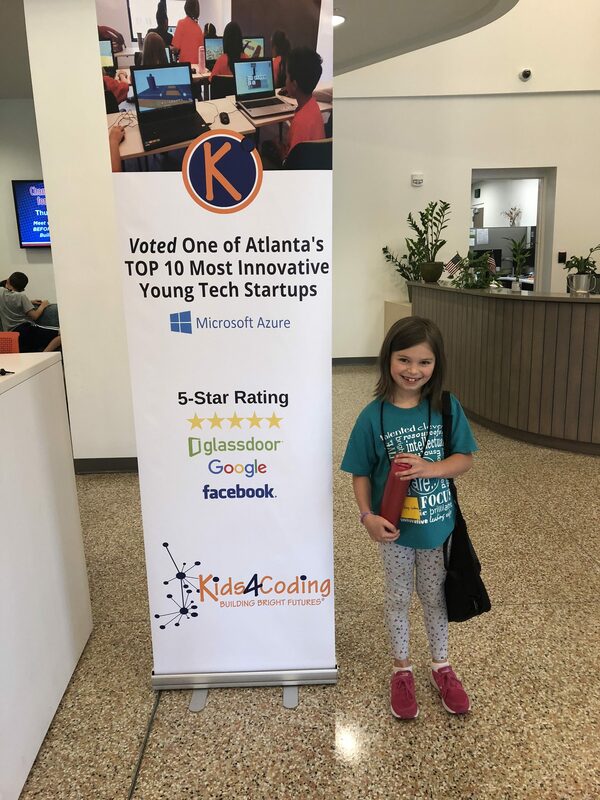 This girl has LOVED going to Coding Camp! She was a little reluctant the first day since she didn’t know anybody and was going to be there for half the day for four days. She gets nervous and anxious like I do (sorry, Brantley). 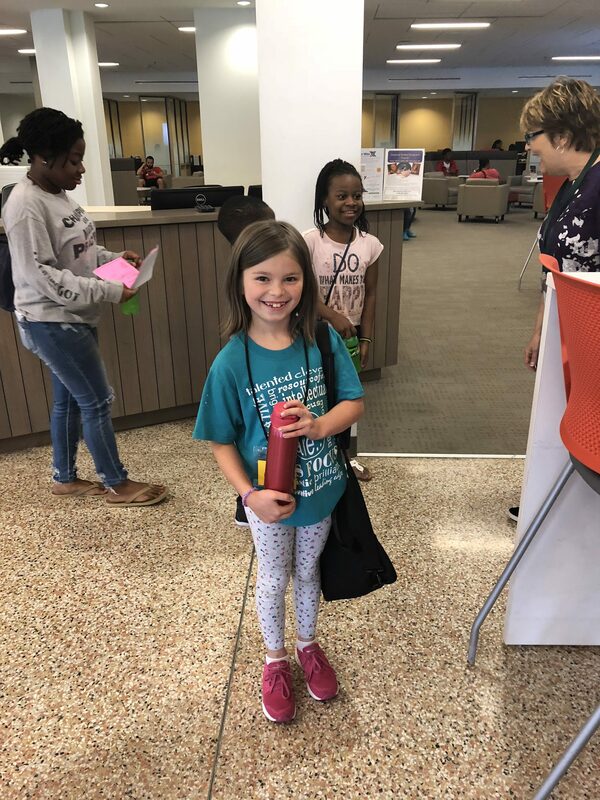 But when we picked her up Tuesday evening, she had the biggest smile on her face and told me that it was “so cool” and how there were two other girls in her class and that she had made friends with both of them. She told me about the Minecraft games she was building, the cars and robots they made, and it sounds like she has had an awesome time. I’m just so thankful that she had the opportunity to foster her love for math in an award-winning STEM program so close to home. I have been listening to the second season of the podcast In the Dark, and it is SO good. The first season was about the Jacob Wetterling child abduction case, and this second season is all about the Tardy Furniture murder case in Winona, Mississippi, in which Curtis Flowers has been tried and convicted SIX TIMES only to have each conviction turned over on appeal. The story is BANANAS and will blow your mind. It’s only published through episode six of the second season, and I am constantly checking my podcast app, waiting for the newest episode to post! Other good podcasts I’ve been listening to: American History Tellers on Wondery (really good if you’re a history nerd like me), Conspiracy Theories, The Wonderland Murders on Wondery, Lore (always and forever my favorite), and My Favorite Murder. Have you had these crackers??? They are delicious. I don’t typically just eat crackers without a dip or cheese or some yummy accompaniment, but these Vea Seed Crackers in the Greek Hummus flavor are so good that you don’t need anything else. They are about 3.99 for a kinda small bag, so they’re not cheap, but they’re so good to add to a cheese tray or just to eat straight out of the bag. 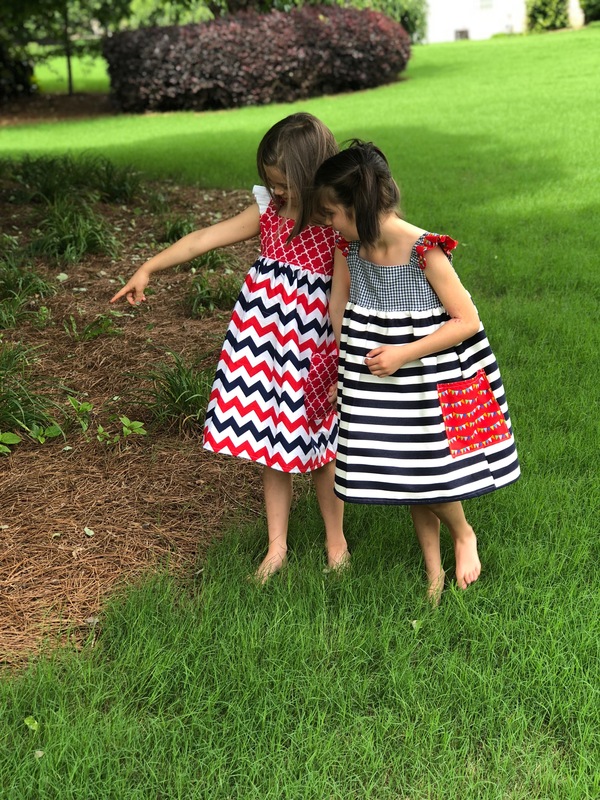 I was so proud to have been asked to pattern test again for one of my favorite pattern designers, See Kate Sew! 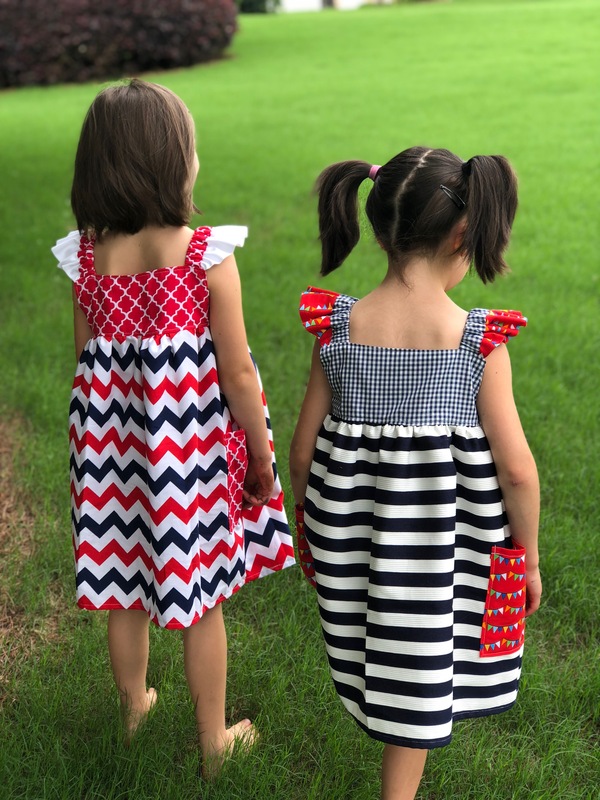 She designs such unique women’s and children’s sewing patterns, and I am always up for testing out her patterns. It is so cool to be involved in the design process and seeing how just a bit of feedback can alter the fit and the look of a garment, and there’s no real way of knowing without sewing it up and trying it on. 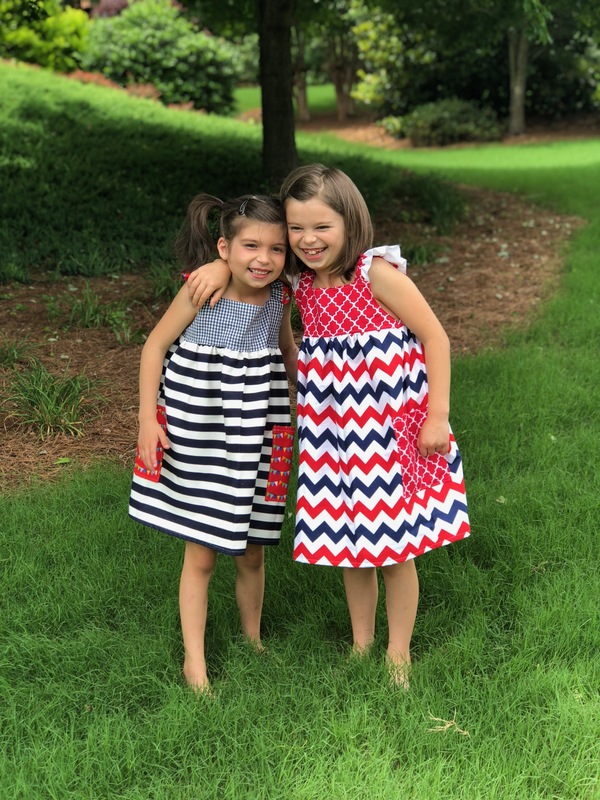 So glad I have a couple of built-in models that don’t mind having a few new dresses made for them every once in a while! 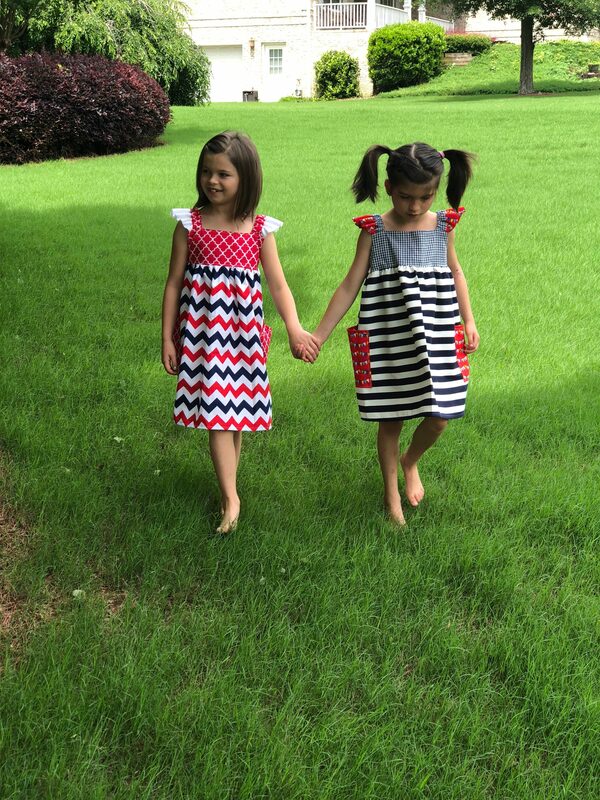 This new pattern is Kate’s Easy Summer Dress pattern, and it really is a quick and easy sew- the perfect summer dress. I love how it turned out on Brantley and Gracie, and I was able to make these quickly for the Memorial Day parade. 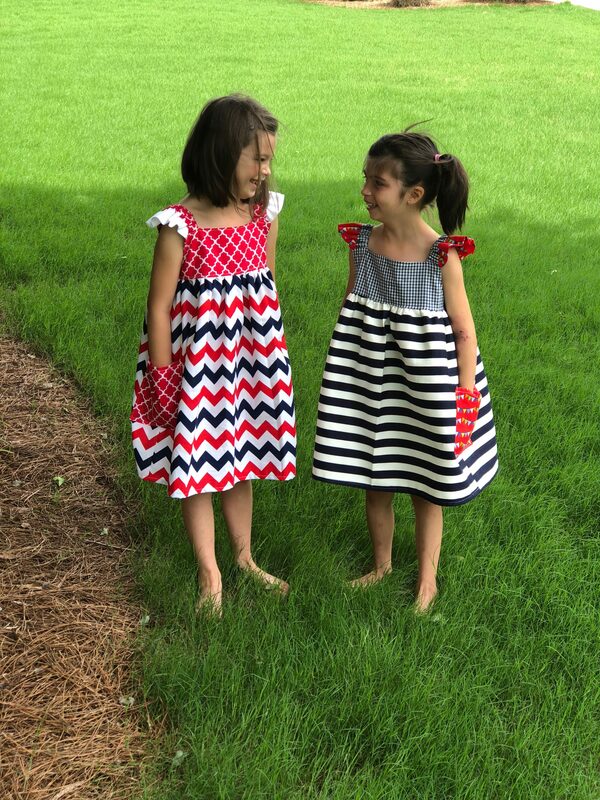 I have about four more dresses already cut out, and can’t wait to sew them up for some great summer dresses for the girls! We are crossing things off our summer bucket list left and right! 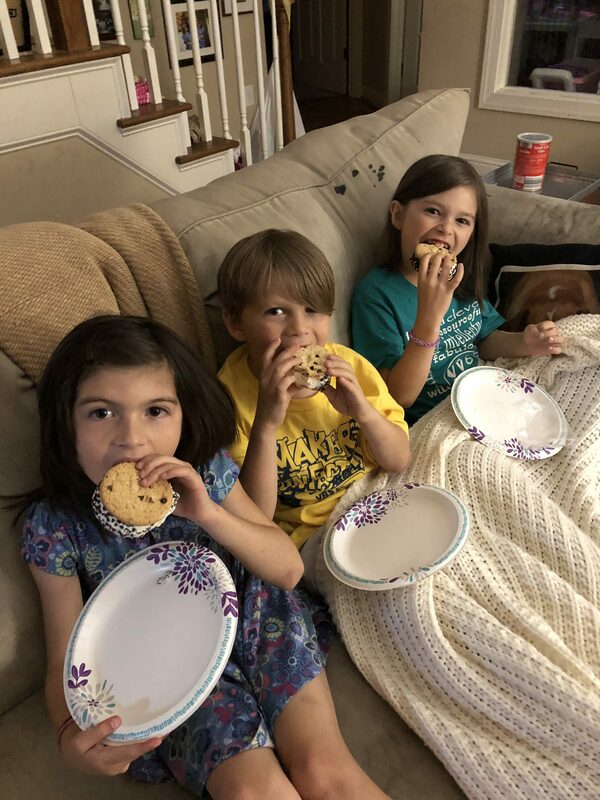 We are really enjoying watching the Harry Potter movies, and one of my favorite moments this week was snuggling up on the sofa while it was raining, eating chocolate chip cookie ice cream sandwiches, and watching the third Harry Potter with the kiddos. They are LOVING the movies, and actually I am too!! 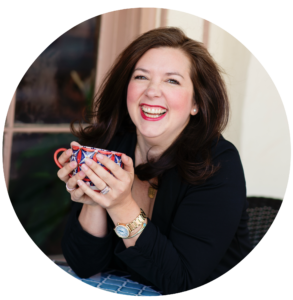 I am not one to just sit down and watch a movie without my computer in my lap, or making a list or something, but I have really enjoyed just sitting and watching the movies with the kids, undistracted (except for the 47,000 questions they have for me the entire time we’re watching). We have 8 more weeks and 5 more movies to go! 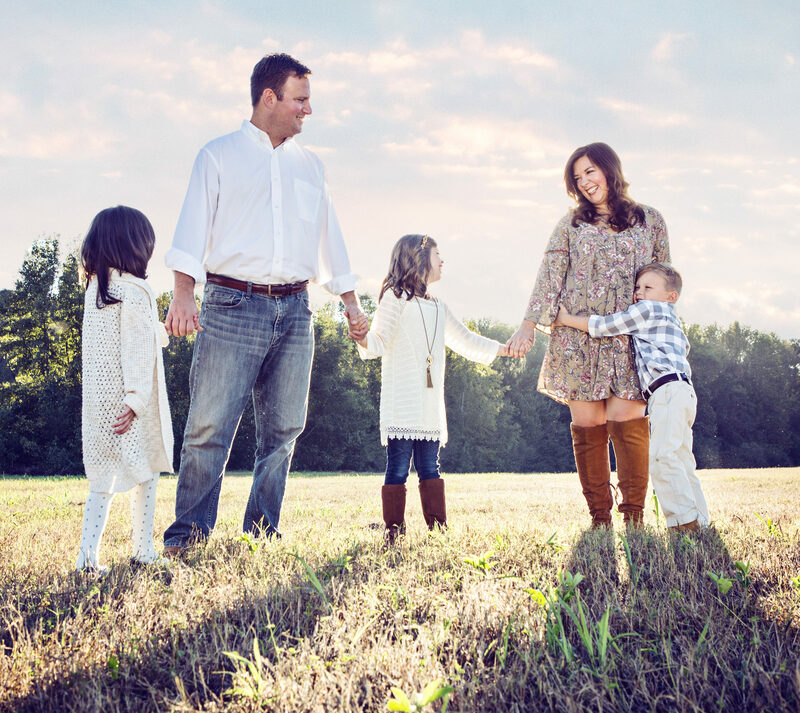 We are gearing up for a great weekend- Brantley finishes up her camp this afternoon, and we’re going to go out to dinner in Downtown Monroe tonight. Then tomorrow, I’m taking the kids up to Canton to meet my mom, and then they are heading to Blue Ridge for Bammy and PaDaddy camp with their cousins for a few days! They will be taking an art class, dance class, woodworking with PaDaddy, and cooking with Bammy. The girls already have their bags packed, they are so excited. Scott and I have a gala to go to tomorrow night, so I have an excuse to get all gussied up and have a great evening out! Then we’re helping to serve communion Sunday morning (so we can’t have TOO much fun Saturday night), and then get a few days to ourselves. CAN. NOT. WAIT! Though it’ll mainly be working and cleaning the house, and prepping for the girls birthday party next weekend, but it’ll be nice to have some quiet for a few days and maybe mark some things off my mama summer bucket list!! I hope you have a wonderful weekend and enjoy some beautiful summer weather!